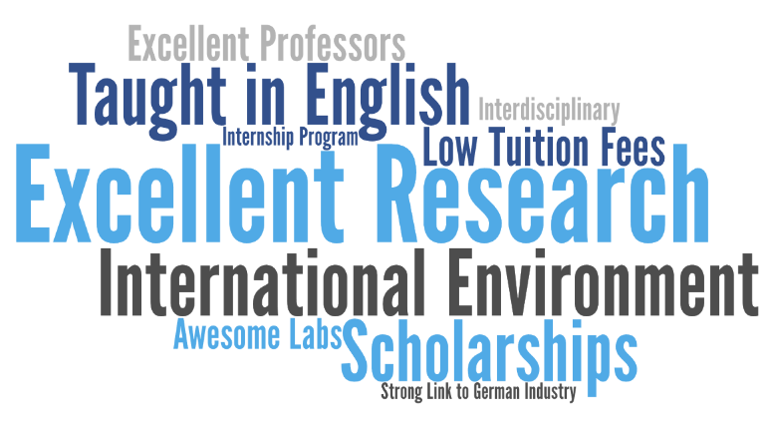 Reasons for studying at KSOP? Watch our school portrait here! Multidisciplinary Environment for First-Class Research, Education, and Innovation. The Karlsruhe School of Optics & Photonics (KSOP), graduate school at the Karlsruhe Institute of Technology, provides both multidisciplinary Master and Doctorate Programs in Optics & Photonics taught in English. The educational concept is designed to qualify students for accelerated careers at world leading academic institutions and in high-technology industries. Students benefit from cooperations with the Optics industry. Partnerships with global corporations such as ZEISS, Polytec, and BOSCH, as well as with small and medium-sized enterprises facilitate their first career steps for those who are heading towards the industry. On top KSOP provides its students with additional career training, networking events, free language courses and state of the art labs. We are happy to welcome BOSCH as a new premium industry partner of KSOP! Bosch is a world leading multinational engineering, electronics and IoT company with its headquarters in Gerlingen which is near Karlsruhe.The close cooperation between KSOP and its industry partners is of high value for our students as well as for the companies. We are grateful to have another leading company as our partner and are looking forward to a productive collaboration! KSOP students can join KIT during the Sustainability Spring Days - Project days on sustainability in science, work and private life on March 25 - 28th, 2019. This program offers the opportunity to explore how science can contribute to understanding and fostering the sustainability of technical, social and ecological systems and how sustainability research itself can become an active driver of sustainable development. The KIT is offering students to join their certificate course on Supplementary Studies on Sustainable Development: Transformation Knowledge for Everyone.The aim is to support students in taking responsibility for sustainability issues and for their own actions as individuals, citizens, researchers and future decision-makers. Congratulations KSOP Spin-Off Nanoscribe for receiving the Baden-Wuerttemberg state prize for young companies! Congratulations to KSOP Alumni and Mentor for receiving the International Bionic Award 2018 for their research on "Butterfly-inspired photonic nanostructures for energy and healthcare applications." Register today for the FEMTO-ST "Frontiers in Photonics" Symposium. The symposium will be on November 23rd, 2018 and cover topics like optics, imaging frontiers, and the links between the science of optics and the history of art.